To SAITM Or Not To SAITM – Is That The Question? For some it appears so. For any of them who are rational, it must instead be: can medical education be provided by the private sector? After all, SAITM also awards other degrees as a UGC recognized higher education institution. Many of the arguments for abolishing SAITM are actually calls for reversing some 25 years of private tertiary education in Sri Lanka! The issue has been so politicized, that for the uninitiated, the issue actually is: what is the question? I’d like to take some space to try to address some of the arguments on both sides with a view to show why, once you’ve taken a side on this issue, your rationality takes a back seat. I also want to take this space to explore what a non-partisan approach to the issues may look like. Of course, I’m open to correction – but only to correction on rational grounds. So, if you are on one of the two sides already, you are either disqualified to respond – or welcome to point out some of the weaknesses of ‘your side’ of the argument only! First to take on a moot point that both sides seem to be making (obviously to make exactly opposite ‘cases’), that Medicine is somehow NOT to be considered in the same manner as other disciplines (or professions?). This has been a typical elitist stand that the people of this country too appear to have largely accepted, owing to possibly the direct nature of the relationship between one’s physical health and the medical profession. As one of my learned Civil Engineering professor friends pointed out recently, Engineers probably save or in other ways affect the health of populations much more than medical doctors do! A serious look at many of the problems affecting the health of people of this country would cause us to realize that far more counsellors and therapists are probably needed to ‘heal’ our people than medical doctors. No doubt, many other professions including but not limited to law, finance, administration, teaching among others would also feel that their professions are critical to the functioning of a society. Apart from these ‘professions’, it is often the philosophers, scientists, psychologists, sociologists and even politicians that are (or should be) indirectly but much more critically involved in the long-term wellbeing of a nation. So, what are the arguments surrounding the SAITM issue? Here I attempt to list the ones that have been made in the recent past, not least by the ‘My SAITM Story’ campaign and the state university protest march campaign. Even though I’ve mixed up the issues brought up by the two sides, even a novice would be able to figure out that every alternate issue is made by the ‘other side’. How is this possible? The reality is that, apart from a very few, our society has been forced to ‘take sides’ on this issue. In fact, these become issues after one has chosen one’s ‘side’ on it! For those who have not yet taken a side, the issue often is: so, what is the problem? It would be so refreshing to see a state university medical faculty member making a case for SAITM and private medical education, and similarly a SAITM medical faculty member taking up some of the issues of equity that need to be addressed. But alas, that is too much to expect from a profession to which our society has bestowed so much prestige. Now to address the issues raised. Issue #1 above is based around the argument that to get to state medical school one has to have a high z-score. This argument is invalid as the official criterion for passing the A/L is 3 passes and technically, any student who satisfies this, could (at least in theory) enter a state medical faculty. As someone who’s been involved with state university education I am only too aware of the near ‘arbitrary’ nature of A/L results (even less so the decimal points in the z-score) in predicting the success or failure of the graduate produced by a university degree. This is why in some developed countries, professional degrees can only be undertaken after the completion of a ‘general’ degree. This is to ensure both the maturity required to undertake such a degree and to give space for developing a healthy motivation for the same. Issue #2 appears to be a recurrent theme in the ‘My SAITM Story’ campaign which appeared to be aimed at evoking empathy among readers. While it may have had its (albeit limited) effect, a single ‘My (typical) Pera Story’ written by juxtaposing the lives of 3 state medical undergraduates was an effective counter to this ‘argument’ (if it can be called so). It did however drive the point that SAITM students were not (all) born with a proverbial silver spoon in their mouths. Issue #3 appears on the surface to be an argument in support of SAITM students! It raises a fundamental question: how much is too much? Would we prefer a lower fee even if it means lower quality? Or is this related to the ill-formed question, why can’t the highest quality education be given at the lowest cost? The reason for this question stems from the fact that the we don’t reveal the cost of undergraduate education to students who enter the state university system. This issue is best addressed by the state giving vouchers valued in real terms to students in order that they select their university knowing how much it costs the state to educate them. Issue #4 is a question about the fairness of the district quota system. It shows a lack of understanding about the nature of school education in the country. Of the 9000+ schools in the state system, many students are unaware that only some 600 are able to provide A/L science streams. The facilities for science even among those 600 vary so widely that a purely merit based system would in fact be unfair. Having said this, the exact formula used to compute the quotas are completely outdated and yet almost impossible to change owing to the high political charge that they encapsulate. However, it is clear that a student from an underprivileged background would need to put in much more effort to achieve the level required for a given degree programme. Issue #5 is a gross generalization which also seems to imply that all state university students are highly motivated to help the suffering. In fact, a contemporary of mine had not too long ago asked each A/L biology stream student he met, why they wanted to be a doctor. Most of the responses (often from a parent standing nearby) centered around being able to have a ‘decent quality of life’ for themselves – with none responding that their reason was to do with being appalled by suffering or wanting to ease the pain of suffering people. In fact, very few students actually do what they are passionate about, and are more concerned about not ‘wasting their z-score’ even if it means doing something they are not interested in. Issue #6 is one of the most common perceptions of university students among the general public: that state university students concern themselves with ‘irrelevant’ issues – those outside their own education. To be sure, the present issue is different, as the problem actually is that it is very much to do with their own future! For this reason, in this particular issue their ‘disruptive’ action is less justified. In general, however, it is university students who often awaken the ‘conscience’ of the rest of society to issues, which may be ‘disruptive’ in the short term, but possibly critical to society in the long term. Many a disaster has been averted in our history owing to the protest action led by university students. Issue #7 is a lingering concern ‘fertilized’ by successive regimes that have governed the country owing to the dependence of the election system on big money that is only accessible to big business. The issue then becomes how to change the election system rather than how to stop the education ‘business’. Even if successful in stopping medical education becoming an ‘industry’, many other industries, not least the lucrative health industry that is patronized by those making these arguments, would continue to be abused in this unethical way to influence regimes even in the future. Issue #8 is a reality to be faced. There is a need for strong unions especially in the contexts of corrupt regimes. Unfortunately though, this particular ‘strong union’ was mostly absent in the days when the regime was most corrupt! That should call to question their legitimacy in taking such an overly strong stance on this arguably much less ‘corrupt’ issue. However, that particular experience (in 2014) also taught us that a strong civil society can overrule not just strong unions, but even strong governments. Issue #9 is old outdated rhetoric. In a society which ‘has a price for everything’, it is strange that education cannot have a ‘price’. Over 25 years ago tertiary education was already privatized and today most degrees in most disciplines can be gained through that system. Apart from IT and Business/Management, students can earn degrees in Law, Engineering and Science in the private sector today. Isn’t the present phenomenon of ‘selling healthcare’ a much more dangerous trend to be combated? Or will that be detrimental to those who are liberal with this rhetoric? Issue #10 is a gross generalization again. I personally know many state medical undergraduates who are uncomfortable with the present situation. However, they also realize that there is a matter of equity that cannot be ignored. While they themselves may not find it difficult to compete and succeed in the ‘market’, they are very aware that some of their colleagues will not be able to do so, often owing to the handicap they bring with them in terms of their level of English proficiency and general ‘family’ background. Ignoring this issue without addressing it will only make those who feel disadvantaged fight all the more to keep private medical education at bay. Issue #11 has probably been put as the major argument against granting SAITM recognition. A recent article by a former Dean of a Dental Faculty in the Island amply illustrates the irony of this assertion. Many state university faculties and departments would then have to cease granting the degrees they currently offer. Some hurriedly setup medical faculties in the past (e.g. Rajarata University) are other cases in point. Sri Lanka also recognizes medical degrees of several other countries but there is no evidence that the SLMC or the GMOA has scrutinized each of those degrees to the same extent as they have, SAITM. Even if this is a valid concern, that is no reason to scrap the degree surely? Rather, ways to address that situation should be the major concern of organizations such as the SLMC and the GMOA. Again, I wish these organizations pay much more attention than they currently do, to monitor and control the proliferation of sub-standard private health practices and hospitals in this country! Issue #12 is a moot point. Since no medical graduates have come out from SAITM, we only have the example of the North Colombo Medical College (NCMC) that was subsequently made the Kelaniya University Medical Faculty. My own personal experience has been that some of the doctors produced by that institution while it was private are arguably among the best I’ve encountered and today serve in leading positions within the state health system. There may be many reasons for this including the fact that they had to ‘prove themselves’ as ‘underdogs’. Whatever the reasons, it suggests that private medical education could just as well produce the kind of doctors that would be on par with the best that the state system can produce. This is not to deny the fact that the state system does produce some excellent practitioners, but this does not preclude the private sector doing so too. Overall then, it is clear that our side on the matter, largely determined by personal preference rather, prescribes our reasoning in matters such as this. We are either firstly on the SAITM side owing to being there or having a sibling, child or relation studying or teaching there; or with the state university system owing to having a similar connection to it. What we do need are serious individuals from each side who concede to rational arguments from the other side too. This alone will allow us to see beyond our own self- interest and seek the best for the country going forward. The above is my attempt to do precisely this, however deficient it maybe. I invite others to point out weaknesses in my arguments on purely rational grounds, and not to argue based on their prior stand on the issue. After all, isn’t it highly unlikely that all arguments of one side are rational while those of the other side are all irrational? I think it is a fight between two powerful groups one being the GMOA and the other being the SAITM and GMOA wants to make SAITM students a cashcow to GMOA doctors. The govt does not know what to do and has allowed GMOA doctors to become a medical mafia which uses their power to exploit the patients and medical students. Universities should take the lead and it is UGC’s and university management’s responsibility to provide needed training & education to those students. Universities can start paid education institutes – part time or week end, night classes etc – with those students or workers who needed education and training. The best way is opening more medical – schools. Sri lankan Medical students should understand that the education in other countries is paid by the students and govt only subsidize it. Medical students have to do more volunteer work and not just tuition and pass the examination and need to be educated in different related fields and they are not just poth-gullas. Well done and an excellent article. Happy to note that you are looking at it on a logical method and not sure wither your employment with a private sector degree awarding institute had a say in your outlook towards private sector participation in higher education including medical education. Simple solution to this issue is to stop govt doctors from doing private practice and then the GMOA is crushed. However pay govt doctors a decent salary similar to the earnings by university lecturers. SAITM is a must and hopefully the matter will be resolved when the appeal by Medical Council is heard by the Supreme Court. It is shocking as to how tax payer funded GMOA doctors are holding the patients to ransom by striking!!! Government doctors salary have been higher than university lecturers for the last 25 years… gap is very large !! This is an issue made in SAITM for SAITM by SAITM. It is politicized too much to the extent that politicians alone can no longer bring up any solution. The Y-Pala’s government has a habit of postponing every issue and GMOA does not seem to accept such delays. At the end it is the poor in this country that suffer due to continuous strikes and agitations. I’m curious about the fledgling Viyathmaga at this point; is there any way to refer the issue to Viyathmaga and request them to make some apolitical suggestions? RE: To SAITM Or Not To SAITM – Is That The Question? 3. Make All doctors take a common intelligence test, besides the subject tests, so that All doctors meet minimum intelligence standards. Do the Sri Lankan politicians sufficient IQs and guts to meet these challenges? You are whole time harping on this (average) IQ of 79. There are a good number with high IQ, and the A Level exam filters out those with lower IQs. Agree. Those students who take the A/L have IQ’s at least one standard deviation(15) above the mean of 79 or 94. Those who qualify likely have two SDs (30) or close to 109. All the SAITM students probably have IQ’s above 94. In the absence of actual testing data, we can only speculate. The current system of selecting to the medical schools and university departments are solely based on performance on the SUBJECT MATTER at the A/L exam over several hours. In the case of medical school entrance, biology requires the memorization amount of memorization, chemistry less memorization and a fair degree of analytical thinking, and physics some memorization and more analytical thinking skills. So, the medical school admissions at present need revision to better select the best students who can complete the degree and furthermore can better serve the populace throughout their carriers. So, an intelligence test shoukd be part of university entrance, whether medical schools or not. Furthermore, the current district quota system disguised as Z-scores is flawed. In addition, the same Z-score is applied to those who take the A/L after 2 years, (1st try), 3 years (2nd try) and 4 years (3rd try). It should be increased for those who hake the A/L the second and 3rd time. Would you place a 2-year old, 3-year old and 4-year old on the same level? Maybe it is time to gather some new response to CT articles. Endless repitition of “IQ79.. IQ79.. IQ79” is becoming tiresome and may be indicative a IQ of 79 or lower.. perhaps showing reduced imagination or cognitive ability. Endless repetition of the low IQ of &9 and the low IQ the doctors need to be pointed out repeatedly, as it has become a national problem. There is decent correlation between IQ and National Wealth. The authors argue that differences in national income (in the form of per capitaa gross domestic product) are correlated with differences in the average national intelligence quotient (IQ). They further argue that differences in average national IQs constitute one important factor, but not the only one, contributing to differences in national wealth and rates of economic growth. The core problem is the hegemony and cast-ism of GMOA ans SLMC, and their Mafia tactics. They have taken the populace and the politicians to ransom, despite being educated and trained at tax payers expense. Many of those who were selected o the stare medical schools passed after taking A/L 2 or 3 times, a curse of study that study have been completed in 2 years. Besides, there is ample data that supports that the medical medical are not on top n intelligence tests, not only in Sri Lanka, also in the USA. Medicine has become a lucrative business for doctors. GMOA and SLMC, are using their Mafia tactics to retain their franchise to fleeces the masses, and avoid competition. An excellent write-up, probably the best of the crop on SAITM. You have very clearly put down the arguments from both sides. But it is clear which side you are on.However, any clear headed non-GMOA member would do the same. Many seem to assume that a high z-score proves one’s superior intelligence and ability to do medical studies. Absolute B.S. It only proves you can memorize and that your parents probably sent you to the best tuition classes. You do not need Nuclear-Physics or Cellular- communications type skills to be a doctor. Even OL qualified RMP’s are capable of handling 90% of routine ailments. As you say, the real reason why students want to be doctors is monetary. Social status too is a factor, because it is a fact that a good carpenter/welder/mason can earn more in his 20’s than a doctor of the same age. A good IT person or a lawyer can earn much more than a doctor throughout his career. BUT he has to be good, unlike a government doctor who gets his perks and pension regardless of quality. “Issue #9 is old outdated rhetoric. In a society which ‘has a price for everything’, it is strange that education cannot have a ‘price’. Over 25 years ago tertiary education was already privatized. Even state education is privatized through tuition classes. If the striking doctors/students were willing to pay for this, why are they unwilling to let others pay for their entire education? And why only medical education? Who put doctors on such a high pedestal? Who put doctors on such a high pedestal? We the general public in all shape, manner and form. The world is changing. Let us march forward with the changing world not to regret later. A time will come when medical education will only be done by the private sector.People want it. look at the private tuition classes.No body is protesting. Students cut school to attend tuition classes paying high fees with the knowledge of parents and teachers.Sooner the better not to lag behind let us have more medical colleges soon. What IS the point in having schools at all, if our society imagines that sending kids to private tuition classes to obtain certain results at exams having little validity is all that matters? All that students are capable of doing already is just knowing how to answer test papers: Education has stopped existing. The solution is NOT to scrap schools, but to ensure that Education once more begins to mean developing the child – all round. There still are teachers who realise this, but they don’t get heard. I’m saying this as a retired teacher. 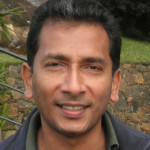 Upali, you say “The world is changing.” Yes, yesterday Donald Trump, who got elected promising that his country would not get mired in foreign wars, dropped the “Mother of All Bombs” on Afghanistan, where the war has been on for more than a dozen years. I guess that in some way the Americans will get rid of this lunatic President, but you want us to join this madness! More Proper Education is fine, whether it is State-funded or privately paid for, but getting as mad as Trump is lunacy. The answer to questions of equity is make students who can afford it pay a reasonable amount at least to cover costs, and use this to subsidize the really poor students. We are supposed to have an average income of $4000, so there should be plenty who can pay for education. Besides, not all the intelligent students do medicine. However, those students who do medicine do have an intelligence level above the average general population. The students pursue medicine for a variety of reasons, like the other students who pursue their studies for a variety of different reasons. 3.Medical Faculty, Dental Faculty, Agricultural Faculty, Science Faculty-Biological Sciences. Your rankings support what I wrote about the level of skill needed to be a doctor. The nuclear physicists and Cellular /IT people top the list. I read somewhere once that doctors have been dealing with only 2 types of human (male/female ) whereas even TV repairmen have to deal with dozens of different models, and technology changes several times within a career. IQ Rankings of Different fields and medicine(doctors) for US. The Average IQ of US is 99. With a standard deviation of 15, with 1 standard deviation above the mean it is an IQ of 114, for medicine. Using the same methodology for Sri Lanka, with an mean IQ of 79 and one standard deviation of 15, the mean IQ of Sri Lankan medical graduates can be estimated to be 79+15 = 94. They do shine compared to the MPs and ministers. What a good unbiased article. This is the whole truth. Once to every man and nation, Comes the moment to decide, In the strife of truth with falsehood, For the good or evil side, Then it is the brave man chooses, While the coward stands aside, Till the multitude make virtue, Of the faith they had denied. In the case of “To SAITM or not to SAITM” there is a judicial verdict. What is your solution to the present dilemma ? The SAITM issue should’ve been solved 3 yrs ago before the first batch sat for the final exam. Now it is the baby of the politicians who started it in the first place. GMOA is playing the tune of joint opposition with MR stooges are in the forefront of GMOA. I don’t know whether you are a physician or a PhD. But there are no issues here. The only issue is anyone should be allowed to establish Medical Schools which have to be accredited by the SLMC for registration. For the benefit and safety of citizens all admissions to these private medical schools should be through the same A/L merit list with Z scores used by the state medical schools, nothing else. This make sure that the best students are taken in for medical training. What can go wrong with this?? The GMOA has nothing to protest and no way of making money tutoring unworthy prospective registrants. You are trying to make things muddy with all your irrelevant lists of issues! Did SAITM make sure that their degree will be recognized by SLMC? If not, should we carry their can of business risks? It took a while before medical degrees from new universities were recognized. The same criteria applies to engineering degrees. For example the Jaffna University engineering degree is awaiting accreditation. Dinesh, Wimal, DEW where the hell are you? Say something. SAITM is exclusive – money matters. The feeders seem to be fee levying private schools. 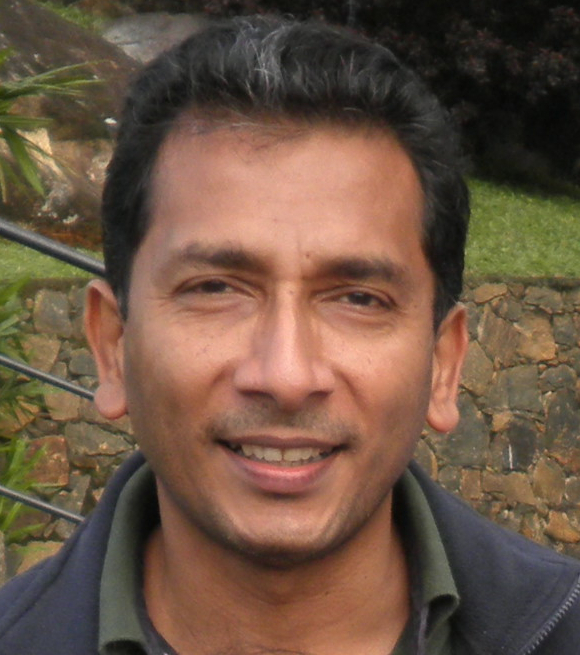 Ruvan Weerasinghe, ask those affected by the infamous the “standardization”. Remember the young rugby player inducted into the Lankan Navy and sent to UK for training a week later. Medical degrees are clinical degrees. They are entirely different from other degree which are based on theoretical and practical teaching. Bulk of the teaching for medical degrees are done in hospital wards during day and night. Medical students undergo theoretical and practical training only during first five terms. After that they undergo clinical training for rest of their period (three and half years)during mornings and nights. They have lectures only in afternoons. I doubt whether Nevil Fernando hospital can provide SAITM students such extensive clinical programmes. Although private institutions can provide tertiary education and award degrees in other sectors, it is almost impossible for such institutions to award proper medical degrees which are extensively based on clinical training. Furthermore, I doubt whether legal profession will allow establishment of a private law college as we have only one state owned law college. Nobody can become an attorney at law without going through it. Let me guess: you are either currently a medical student or faculty of a state medical college. Can you tell us what *aspect* of this ‘clinical training’ is somehow *intrinsically* impossible to implement in the private sector? In what way is that different to the thinking that prevailed about the private sector not being able to provide the kind of ‘advanced equipment’ needed for a hospital – only to find most people today (including you, most likely) *preferring* medical treatment in these private hospitals! Please admit it: there’s absolutely *nothing* that makes providing clinical training in a private hospital *intrinsically* impossible! If an internship for a medical student -or any profession requiring clinical training- is limited to a private hospital alone, it narrows the diversity of health issues you will learn to work with unlike a state hospital. Really ? What does it matter to University medical students ? Don’t you guys have an exam to study for ??? Do Get on with it instead of worrying about someone else’s exams. If SAITM students cant do clinical practice in SL, then they will go abroad for it. It’s not poking a hole in YOUR pocket, is it ?. They are paying their way unlike you bunch of self-righteous, selfish and ungrateful leeches who are taking MY tax rupees and wasting it and your time. They also do not require higher IQ’s either. So any SAITIM or State University Medical graduate with an IQ of 94, 1 Standard deviation(15) above the Sri Lankan mean of 79, should qualify. The GMOA is acting like a Mafia using the industrial power of the medical Profession for political and personal reasons. Sri Lanka’s constitution makes it clear that we have a mixed economy. Private and Public in all walks of education and services. How could a few Doctors prevent the application of the constitution of the country. It’s individual liberty for people to exercise their choice and undertake their studies in private or state funded universities. The License to practice medicine is for individuals is in the hands of the Sri Lanka medical association and not with the GMOA. The GMOA is a trade union which negotiates pay and conditions of service and not set standards of conduct, performance and proficiency to practice. In this case the GMOA is causing immense suffering to the public in order to black mail the government to reduce the graduates using the private route to graduation as doctors. These very same medics work for the health service and then moonlight in private establishments in their time to enhance their earnings. What hypocrisy!!! This gangsters claim that they are professionals but causing serious pain and sufferings to the sick and the vulnerable by going on strike. The GMOA under any circumstances must not be permitted to succeed with their illegal and unjust demands. the government must use there authority and make health care as an essential service like the armed services or the Police and ban strikes. bodies are the real mosquito breeders. You go and see all the cities and towns in Sri Lanka. All of them not a single one have drainage to drain or clean but there are stagnant dirty smelling stinging liquids. A very good medium for mosquito breeding. All sorts of disease can spread from there. All the beaches and roads are strewn with full of filthy waste and plastic bags and plastic bottles. Disease infested dogs can be seen for every 40 meters of roads. You can see dogs’ poo or traces of dogs’poo and urine for every meter in all the streets, roads and lanes. What the Srilankan Medical school teach the medical students. To see this type of health hazards and close their eyes memorise their subject and spit it at the exam table. Or dream about the tax free cars. The community medical officers ought not to see this things? Any person with some common sense and knowledge that their surroundings should be clean and hygienic. There is neglect and ignorance hand in hand and enmasse. It is an open poster to show how indifferent are the Sri Lankan Medical officers. Shame for Sri Lanka and its medical profession. How you dare to say Sri Lanka is a beautiful country. Sri Lankan are still covered by racism . All their mind are occupied by racist thoughts racist politics and there is no room to think about other essentials matters. The media and politicians are brainwashing them eternally. Who will fine the local Govt bodies and community health officers? The biggest “red herring” article on SAITM ever. What matters is medical education standards and the SAITMs scheme of using legal loopholes and politicians of both MR palanaya and Ypalanaya. Add to the “contract” agenda of JVP/ FSP/ IUSF and others which want an issue with the government to distract the public from the BOND scam, you have both SAITM students and state students to play with. SAITM students will be the first to benefit from standardisation. Nevill Fernando avoids it because it is costly. He wants to pluck the fruit from the day the seed is planted. Money speaks louder here as well. If at all worth looking at point 7. Author glosses over it showing his partiality. Thanks again for the muddle. If you are paid to do this well done! The problem is not only SAITM. There will be end number of PRIVATE medical schools in Sri Lankan in future if SAITM students allow to practice without qualifying exam like act 16. So there should be one common exam for foreign graduates and private medical graduates qualified inside the Sri Lanka. Otherwise foreign graduates will go to courts. Why not allow foreign medical grads. to go to courts if they are so dissatisfied with repeated ERPM Act16 exams. and with repeated failures, so that they are unable to practice in their own land. I agree there should be only one Common MCQ paper for all local MBBS approved by UGC. If others want to study medicine, who is this joker who is wanting to stop it and ruin other peoples’ lives. Let them. Have the SAME Qualifying exam foe everybody. It looks like the average IQ of Sri Lankan medical graduates fall between 94 and 109. Those with IQ’s closer to 109 will pass and those IQ’s close to 94 will fail, repeatedly. Do patients want to be treated by doctors whose IQs are closet to 109 or 94? PS. The average IQ of Sri Lanka is 79. One Standard deviation above is 94 and 2 standard deviations above is 109. I commented on many of the SAITM stories; thanks very much on your insistence that there should be rationality in evaluating the performance of the two systems. Education is a basic human right, and if anybody is willing to spend on it, at any stage of their life, that should be quite O.K. As it is lots of young people are sent out of the country for studies. The money has been raised here. These tax-payer arguments cut no ice with me. Those guys have somehow managed to get money out of the system; wonderful for Sri Lanka that a guy named Rahul Wijeratne is leading Harrow in their match against Eton at Lords. Good for him – and I mean that! How did the father get the money? Casinos, during MaRa’s period! The fact is that the basic economy is kept going by housemaid earnings – and we haven’t forgotten what happened to to poor Rizana. The first SAITM student to write on CT was fine; a determined lass who hadn’t found it easy. But then followed a number of people who imagined that having money ENTITLED them to Education and to speak insultingly of those in State Universities. It doesn’t matter how they came by the money, let them study, and compete for the paying patients who channel doctors. very few doctors are really in this business to bring healing to those who suffer. Yes, it is good for money (anybody’s) to be spent on Education rather than on gambling or liquor or drugs. Let more SAITMs appear, and in other fields, too, but bring back discipline and accountability. The GMOA is both selfish and hypocritical. That is one side of the story. Let the other side of the story be an understanding that there must be at least a degree of social mobility. Private Tuition at A. Levels requires lots of money – and that negates the best efforts to give the disadvantaged a chance. There is no discipline; nobody has the guts to challenge such things. At least the outstandingly gifted from deprived backgrounds must be allowed to go in to the State Universities, finally becoming some of the most successful in our society. The mediocre from such backgrounds will necessarily fail to get anywhere remarkable; those of the same IQ (I guess there is such an objective noumenon, although what gets measured finally may not be so objective) Yes, those of the same IQ from a privileged background will succeed – if they saw it fit to invest in Education. But I’m now on to talking about the disadvantaged. You’ll find them in the slums of Colombo – in environments that do not provide them with any stimulus for academic achievement. Too bad! Nothing can be done for them. Don’t let more drain in to the city (we have only one, really, in this country). Improve please the lots of those who are on estates and in paddy fields. Few will enter the Universities, but do not make it impossible for them to achieve. As things are, those who ruin the Universities are those Unionists who want nothing except envy-driven agitation in Universities. Those are the nasties. If we have the will we can tame the guys. famous among the types: Wimal Weerawansa and S.B. Dissanayake: and it looks as though some want to make him Minister of Higher Education! THIS is our problem. We allow these guys to have a say in running our Educational Institutions. “It is a question about the fairness of the district quota system. It shows a lack of understanding about the nature of school education in the country. Of the 9000+ schools in the state system, many students are unaware that only some 600 are able to provide A/L science streams. The facilities for science even among those 600 vary so widely that a purely merit based system would in fact be unfair. Having said this, the exact formula used to compute the quotas are completely outdated and yet almost impossible to change owing to the high political charge that they encapsulate. The introduction of the system may have triggered the ethnic conflict now helping the war affected North-East. However as you mentioned it is still unfair. Some time ago, Devanesan Nesiah wrote an article suggesting to change the system based on schools, by giving bonus marks for the backward school students. Such a system is used in Australia.